The Vacation that Keeps on Giving? We’ve been home from vacation four days now. Monday night my daughter Tory mentioned that her throat was sore. As soon as she said it, my mind wandered back to the days when she was little and she’d beg me to go into the colorful ball pits to play with strangers’ kids at McDonald’s or Ikea, or want to go to our town’s public kiddie pool. I shudder to remember the viruses/diseases she came down with each and every time I caved and let her play in those disease-infested balls; I’d never even heard of 5th disease until then! And my mind wandered to Jamaica, where she spent hours in the pool, surrounded by strangers, swimming and playing volleyball and just hanging out. FEH! Could she have contracted the virus there?! Is this a repeat of her childhood?! My Mom always had us gargle with warm salty water when we were sick. Oh yeah. 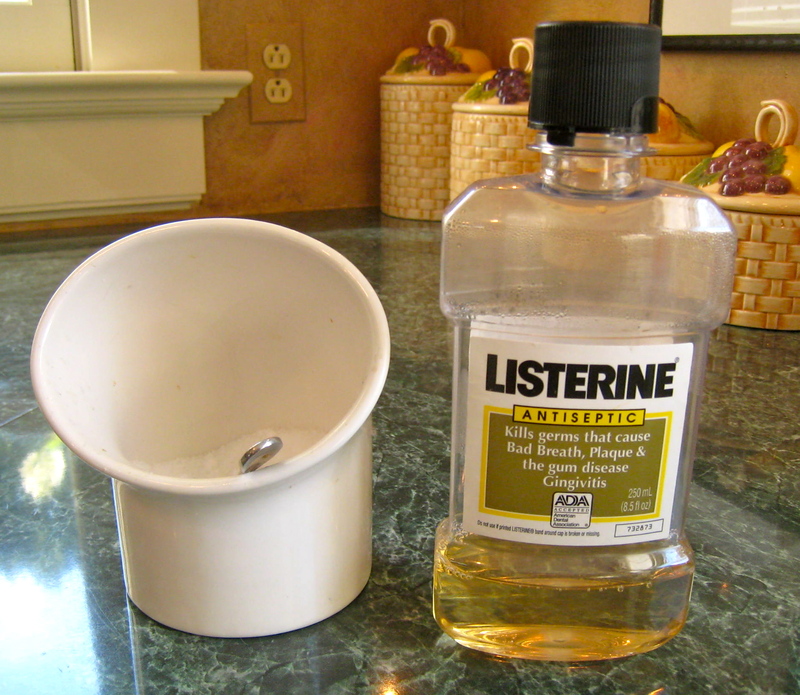 And use the dreaded original Listerine. Blech! Tory knew what to do about her sore throat without me telling her: she trotted out the old family ‘remedy’ – gargling frequently with warm salted water and following up with original Listerine – only this time it didn’t work. Her throat got progressively sorer. By this morning Tory could barely swallow and she definitely wouldn’t speak. It was off to the doctor’s for her. Diagnosis: It’s unlikely it’s strep based on the quick throat culture. It could be a nasty virus that has to run its course. Or it might be mono. Hearing the two immediate possibilities did not make Tory or me happy. One ‘real’ strep test and a vial of blood later, the doctor sent us on our way with a prescription for prednisone, to get the swelling in her throat to go down. The doctor told us she’d likely call Friday with the blood test (mono?) and strep results. In the meantime, poor Tory is abjectly and completely miserable. To swallow her own spit is a real effort, never mind eating or drinking anything. 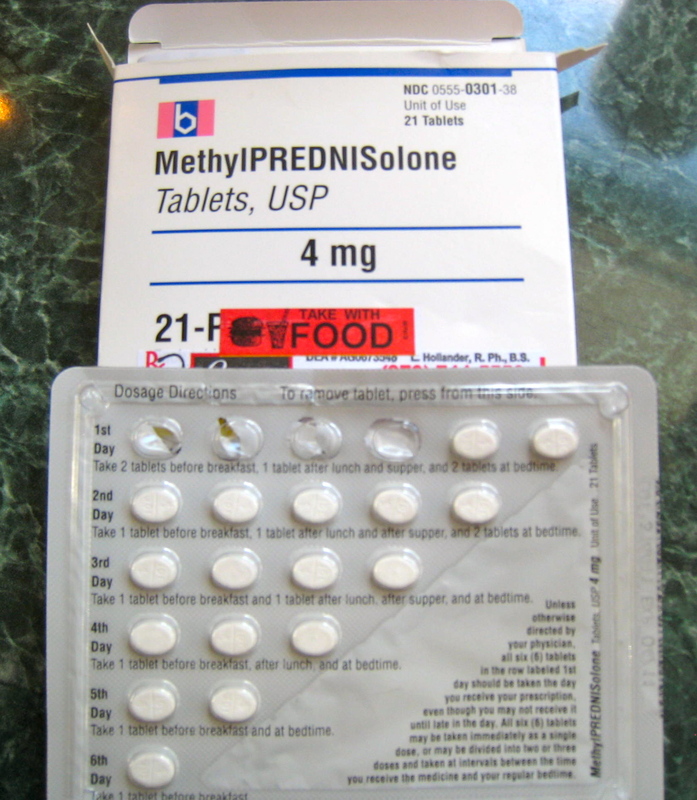 That said, she has to take the prednisone, and to do so, she has to coat her stomach (milk) first, before she can swallow the crushed up pills. Easier said than done. We hope this works to ease the swelling in Tory's throat. I’ve tempted her with a Rita’s cherry ice and a McDonald’s chocolate shake, two of her favorites, and she couldn’t swallow much of either. One nosebleed (don’t ask) and a lot of painful swallowing later Tory managed to get down 4 of today’s 6 required pills. I feel bad for my girl. She’s lying on the sofa in a small miserable heap and short of patting her hand and head, there isn’t much I can do for her, except pray for the medicine to kick in. So if you’re reading this, please send a pray of healing up for our girl. Catching up on your blogs…while we were spared any throat infections Katie go the nastiest (and I mean nastiest) rash on her leg. The nurse/practictioner at the minute clinic at CVS (my new go-to place for minor ailments–cheap and fast) was flumoxxoed so went to pediatrician. Surprisingly, it was just good old impitego. We didn’t think of it because we are so used to bouts of it on Pat’s face from wrestling–never occurred you get it on the back of your leg. Like Tory–meds were prescribed and she’s back to normal.